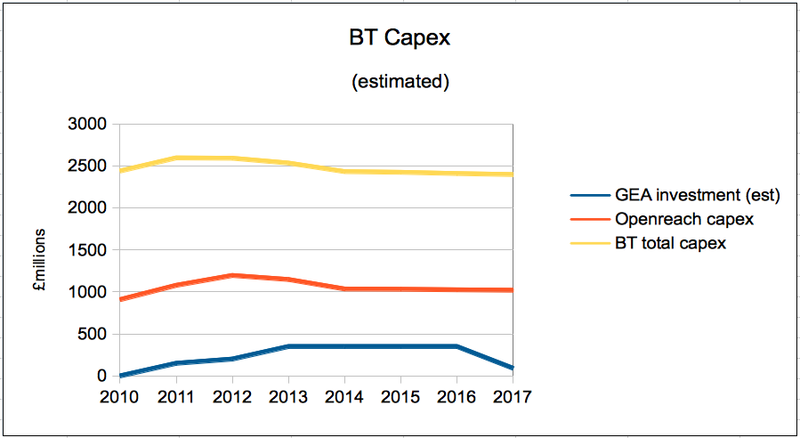 Not only is BT’s infrastucture investment falling it is also alleged that it is turning away wholesale business because it is overloaded. if that is the consequence of its diversion of funding into content then MPs are correct to be furious. Collective responsibility? 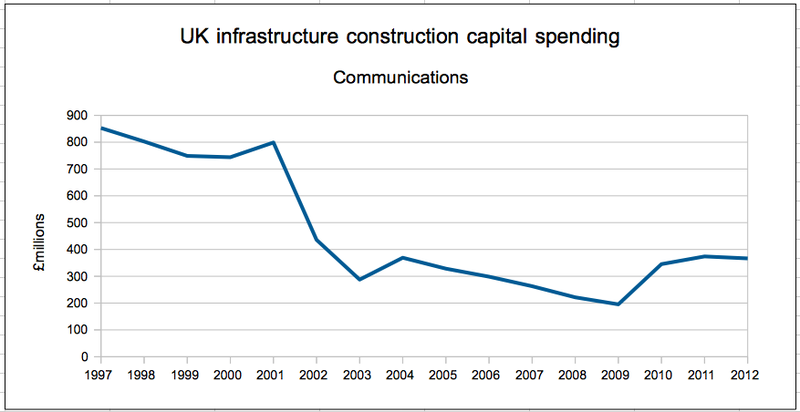 BDUK civil servants, mostly seconded from the Treasury, Local country councillors who bought into BT’s Vital Vision? There are plenty of scapegoats who were witting or if unwitting, should have done more to reduce their ignorance. There’s been plenty of history, and plenty of advice. But it’s users that are angry – and, no doubt, those MPs that have to face voters in 2015. Instead of getting mad they should get even, and use some of their combined power to bring about change, and to shout from the halls ‘the emperor has no clothes’. For too long the politicians have been led by the nose by others. Yes minister. You are in the thick of it now dear Lords, fight your way out of this mire and save Digitalbritain from the fools who think copper can deliver a digital future. In deciding what to do with its SEP allocation, North Yorkshire has already fallen for BT’s tales of yet to be proven technology. It’s an easy option for hard-pressed local authorities. Great article covering some key points. Just an aside, one thing rarely mentioned by BT is that the technology used by BT is almost exclusively aimed at an asymmetric service, fine for the content like BT Sport etc, but it’s an unbelievably poor decision for the future UK as the world increasingly goes to the Cloud. Poor upload speeds will make this a nightmare that many will have in future. Sadly too many ill informed and technically naive politicians and councillors are making decisions on future infrastructure they just don’t understand. Oh, but it’s all OK – BT are there to explain to them how to do it, and everything BT says is 100% right – right? Wrong – all BT will do is maximise their profit and squeeze the copper asset and old infrastructure dry whilst being paid public money to do it. they have no interest in building community infrastructure or really closing the digital divide, they’ll do that next when the FTTC fiasco isn’t working anymore. Then they’ll get more government money for another scheme, and so on…. Its a Superfarce, and hopefully we are all now waking up to just how little BT are delivering for the money. BT must be laughing all the way to the bank. A time for a major review and rethink, open up the markets and backhaul to Altnets and other operators, not trust in the Benevolence of the BT monopoly. I don’t trust this bandwagon. It presented itself as the Local Enterprise Partnership in its respective areas by using captial letters for LEP. It is not a LEP imo it is a lobby group which cannot make money from BT projects so wants alternatives not because of the technology but out of self interest. None of these people came forwrd to tell us how much they have already earned as BDUK consultants and what alternative schemes they have delivered for their payments. On Twitter ‘consultants’ who want paid work (like BT) retweeted the ‘LEP’ message with capitals, which I’m sorry makes them untrustworthy! Some of this lobby group promoted a paid for event to LAs which was imo an event for them to sell their services. Why are you trusting people who would take money off LAs to sell their services to LAs? Did it pay consequential losses to any LAs stupid enough to have fallen for it? Ian has offered to document public money already paid to these very vocal lobbyists and how many properties they have connected.None of them has come forward as far as I am aware. I exclude B4RN from this discussion because it has not had public money, it is not part of the gravy train which imo this lobby group is, just like BT. LEPs are not altnets. leps are a waste of space. In our area all the leps do is ‘promote the benefits’ of broadband that isn’t deliverable. They usually employ what is left of business link or rda people to do this. In our area there is £3M being wasted on this. Guess its the same in most areas but don’t know. They don’t connect properties, they just talk about stuff. Altnets are people with vision, many of whom are already building networks, but smaller community ones made the mistake of waiting for support that never came. I don’t know of any altnet supported by an LEP or council, but would love to hear of some to restore my belief in a system that increasingly seems to be led by eejits. Why did ths group of consultants/marketing agency type people portray themselves as LEPs when they are not? I agree, LEPs are what RDAs were. Where funding is EU, it specificed what money had to be spent on workshops explaining the benefits of superfast – so that £3m had to be spent as it is, unfortunately. It seems a waste but perhaps the target audience is in a completely different place and the workshops will prove a worthwhile investment. B4Rn has connected some properties. So has BT. We need to know how much public money these marketing types saying they are LEPs have already had, and how many properties have been connected on which they have advised. If these marketing types have already had collectively £1m and they have not connected any properties we do not want to listen to them, and we do not want them to have any more dosh. I don’t think you will get an answer Selina, leps are a law unto themselves. I don’t think it is in their remit to connect anyone, just to ‘advise’? I attended many such workshops when project access (£20M) funding was available in our area in the early part of the last decade. They were fine meetings with nibbles and tea, and people from microsoft, HP etc showing off their shineys, but the SMEs were all saying ‘but we can’t get a connection so how do we use these toys’ but there were no answers. I gave up going to the workshops. The same thing is happening again, and millions are being wasted cold calling, giving presentations and advising. ie: use the BT checker, if your area isn’t on the list then form an action group and lobby for it. work for BT for free in your spare time to engage your community. blah blah. As if busy SMEs have the time to work for nothing, with no end result if they are on long line lengths. been there, done that, got the tshirt. The promises made by BT to Surrey County Council that FTTC would be a future proof infrastructure with products such as Fibre to the Premises on demand becoming available for SMEs have proved, as predicted by some, to be more about winning contracts than a practical reality. Placing contracts based on promises about unproven products still at a pilot stage is madness when others have proper proven products. It is these products that will be necessary in a few years time when the country realises that building a proper superfast infrastructure on a copper foundation that will require high operational and maintenance overheads is the wrong long term strategy. Business leaders should by now be aware of false promises from BT. They have all been made before. Chris asked whether anyone knows of any altnet supported by a LEP or council. I do know of one scheme for a very large business park where the local business group and a local council wanted to make their own arrangements for broadband with an altnet, but were warned off by the county council, who promise BT will provide a solution as part of the BDUK project – eventually! I would like to think that naked Emperor is having its hairy bits singed by the heat it deserves but to be fair i think it would take some heads on pikes type revolution to unravel this heavily entrenched closed shop fiasco. I like the bit about strong enough signal for 4G / 10 Mbps inside properties. So a mast every few hundred metres out in rural england then, where a lot of the properties have 2ft+ thick walls and invariably full of flint. The same for anywhere there are new shiny super insulated new builds too with their walls and ceilings of celotex foil lined warmthness! As the article infers, these people have absolutely no clue what they are on about. There is no sign of anything more technically competent than what would be expected from a sales and marketing department. There never has been. Does anybody really believe the meeting next Friday where £10M is being spent to “find out alternative solutions for the final 5%” is really anything to do with that claim? BT will be after the last £10m too, snouts in troughs to stop anyone else getting in there. Its not as if they need the money, they make billions, its just that they need to ensure nobody else gets a look in. I haven’t heard how the meeting went, but time will tell. And the history is here in these pages for our children and grandchildren who will ask why we didn’t Do Something. At least we can say we tried, but the telco lobby and their multimillion pound marketing budget drowned out our voices. I’m sure BT would not say no to the £10m, but the invitation is to “suppliers”. Is BT a “supplier” or is this really asking the equipment vendors to scratch their heads a bit? BT doesn’t do tech any more – it’s a consumer of other peoples’ tech; its operating model is monopoly; and financial – well, once you think it through, Build and Benefit has limited appeal, to put it generously. Re the 4G comment about a mast every few hundred mtrs. 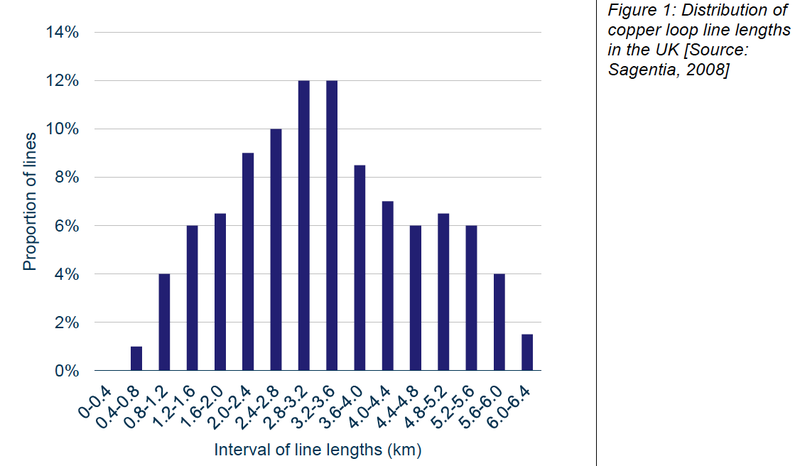 There is 4G spectrum allocations in the 2.6Ghz and 800Mhz bands. 2.6 is good for citys where you do have site every 100mtr and you have lots of users, but the lower 800mhz band is very good for the rural areas – it goes further, propergates through walls, and isn’t so upset by rain. 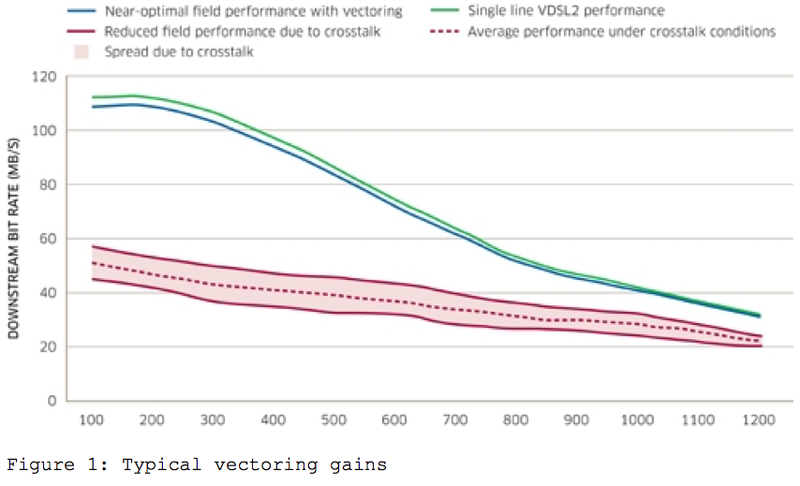 Both bands have there pro’s and con’s but the idea in the mind was very much this – to give people the choice of how they use the allocations to provide coverage to areas typically suffering with lack of fixed line access, or even a workable 3G signal indoors.